Umpqua Bank is putting on a competition between the neighborhoods. You vote for your favorite neighborhood business, and the neighborhood with the most votes at the end can win $10,000 for a community project and the local business will win $1000. You can vote as many times as you like from NOW until December 15th! Here is some more information on how/where to vote! Thank you for coming to Dogoween! 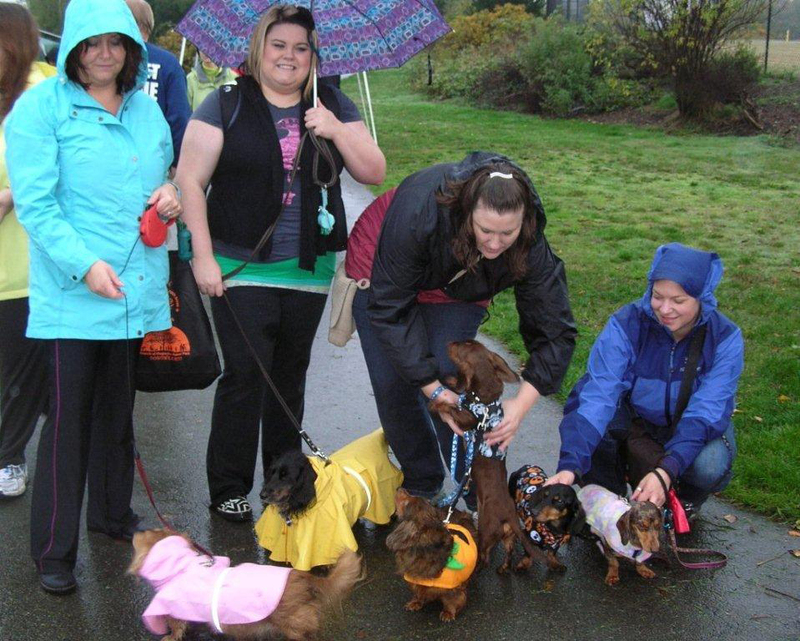 The rain did not dampen the spirits at Dogoween 2011! 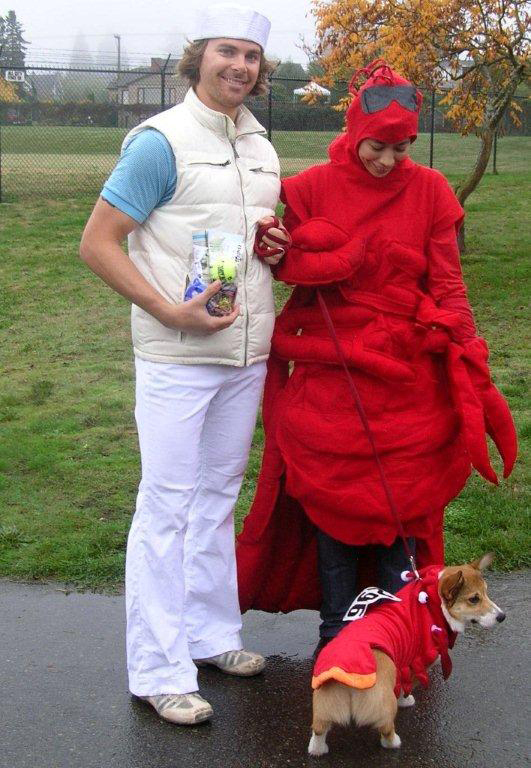 The skipper, the red lobster and the shrimp? the Queen Mum...the Queen...William and Kate on their wedding day visiting Magnolia Manor Park! ok..I'll pick you up for one second..then back in line with your little buddies! The weather could have been better: but, the dogs came in droves…some just to mull around their pals, others costumed and ready for fun! The silent auction, raffle and costume contest attracted a lively crowd. Vendors sold their doggie wares and talked to folks about their services. Over 60 individuals and businesses helped make it all happen! 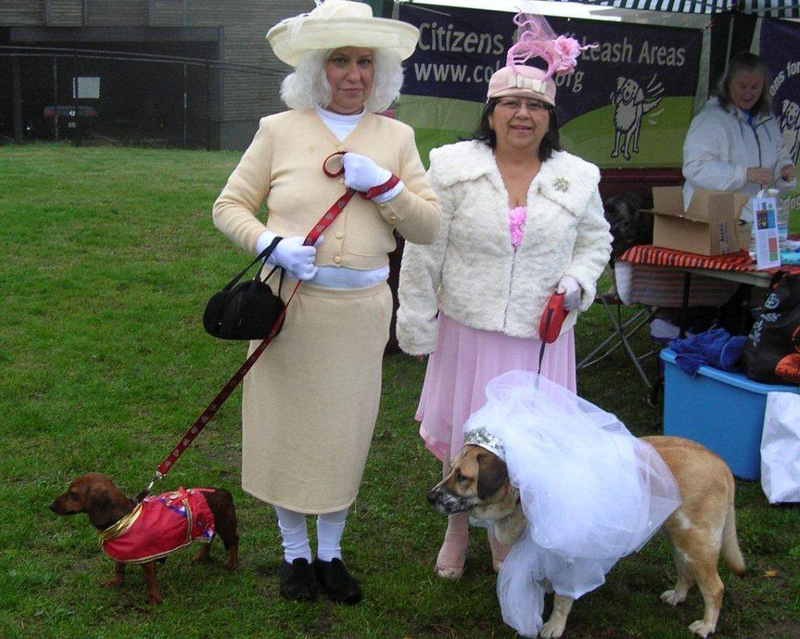 Special thanks for Citizens for Off Leash Areas (COLA) for co-sponsoring this event! VOLUNTEERS NEEDED!Upcoming Event: 12th Annual DOGOWEEN at Magnolia Manor Park!Dogs in costumes, prizes, silent auction and treats for all!Can you help us make the fun happen? October 21, 2011 (Friday) from 5-6 pm we have “Dogoween Kleen” work party at Magnolia Manor to scoop the poop and place the stakes for the vendor booths for the event. October 22, 2011 (Saturday) is Dogoween. We expect the vendors and Parks to arrive by 9:00 am, so we’d like our volunteers there by that time to help set up, decorate the Prize/Auction/Raffle tent, set up the “doggie potty” area, lend a hand to any vendors who need it, and get instructions on the various jobs during the event. 12TH ANNUAL DOGOWEEN 2011: COMING TO MAGNOLIA MANOR PARK! Pictures from past Dogoween's! King of the Pugs. Local dogs, their families and friends will have a howling good time at theannual Dogoween costume contest and fundraising event. Dogoween will be held at Magnolia Manor Park on Saturday October 22, 2011 from 11 am to 2:30 pm. 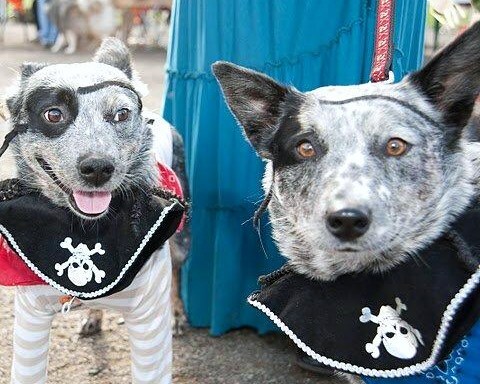 Dogoween annually features a dog costume competition, raffles, silent auction and vendor booths. The day’s highlight is the doggy costume contest. Judging categories include: Scariest, Funniest, Best Group, and Best Dog/Owner Combination. This year we’re privileged to have radio personality and host of KMTT The Mountain’s John Fisher as our Master of Ceremonies. Entry for the costume contest is a $10 suggested donation. The costume competition starts at 1 pm sharp! We’ll have treats for all including prize raffles and merchandise from our generous vendors. Best owner and dog costume...the Wicked Witch of the West and her henchmen. This year Friends of Magnolia Manor Park and Citizens for Off Leash Areas (COLA) have teamed up to benefit both COLA, and Magnolia Manor Park, site of an exciting expansion that will include a new off leash area-Magnolia’s first! 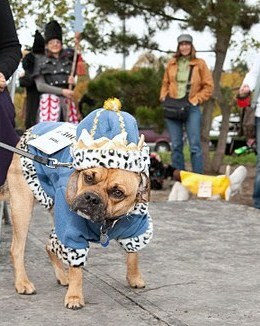 Dogoween is COLA’s main annual fundraiser and together with your membership dues (go to www.coladog.org to renew or join! 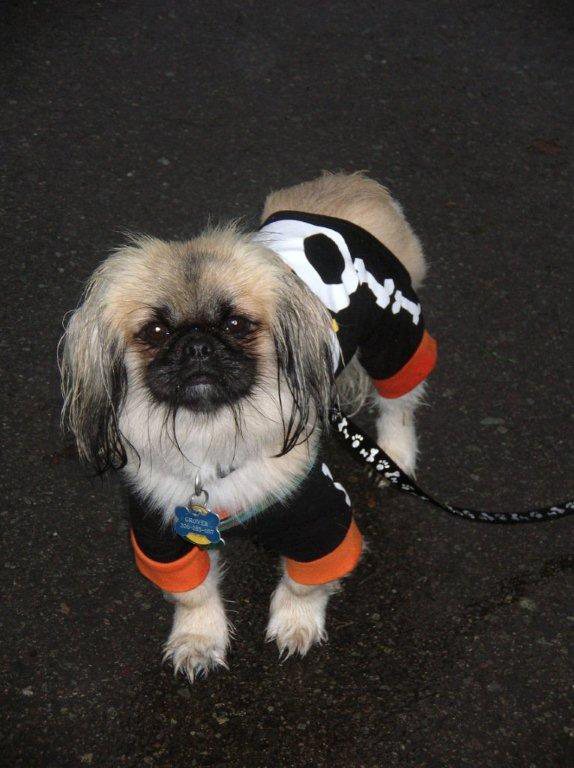 ), the proceeds from Dogoween help to maintain Seattle’s dog parks, and pay for things like tools, toolboxes, wheelbarrows, chips, rocks, fencing, benches and other amenities and improvements. This year COLA and FMMP are sharing the benefits to help build the New Magnolia Manor Park. Please be generous-your support is crucial to our two organizations and the off leash areas in Seattle.